Panasonic Corporation of North America has announced the introduction of a Cloud Service Toolkit to support the development of Internet of Things (IoT) solutions. The Panasonic-created toolkit contains modular software components that can be used to build highly scalable cloud-centric applications. 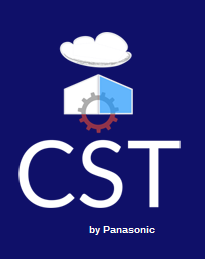 The Cloud Service Toolkit (cst.pslcl.com) is available through licensing for commercial products or royalty-free for approved open source projects. Panasonic-created Cloud Service Toolkit contains modular software components that can be assembled to create highly scalable cloud-centric applications. Toolkit modules encompass gateways and cloud components. Together with the Panasonic open source initiative—the OpenDOF Project—the toolkit provides an end-to-end IoT cloud platform that can securely scale to support millions of devices. The toolkit supports deployment on providers running enterprise-class cloud software including Amazon AWS, Microsoft Azure, IBM SoftLayer and others. The toolkit gives product development organizations a cloud-based solution that can support small IoT devices such as sensors and actuators as well as major appliances and equipment. It supports deployments running enterprise-class cloud software including Amazon AWS, Microsoft Azure, IBM SoftLayer. The toolkit is in use by Panasonic divisions in Europe, Asia and the U.S. where it gathers and normalizes data from solar sites for analytics providers. Earlier this year, Panasonic provided royalty-free access to software, patents and experience from its product ecosystem to speed the development of IoT software and services. Panasonic contributed its device-to-cloud software to the OpenDOF Project (www.opendof.org), a non-profit entity Panasonic founded to administer open source software contributed by Panasonic and the open source community. The OpenDOF Project is devoted to expanding a secure, flexible and interoperable open source software framework to enable the development of scalable and reliable network services from a variety of components and systems including gateways and cloud services, including the Cloud Service Toolkit. “Combining the OpenDOF Project with this toolkit provides an end-to-end open source solution that is both scalable and secure, elements which are critical to every IoT project,” said OpenDOF Project President Bryant Eastham. 0 comments on "New Panasonic-Created Cloud Service Toolkit to Power IoT Infrastructure"